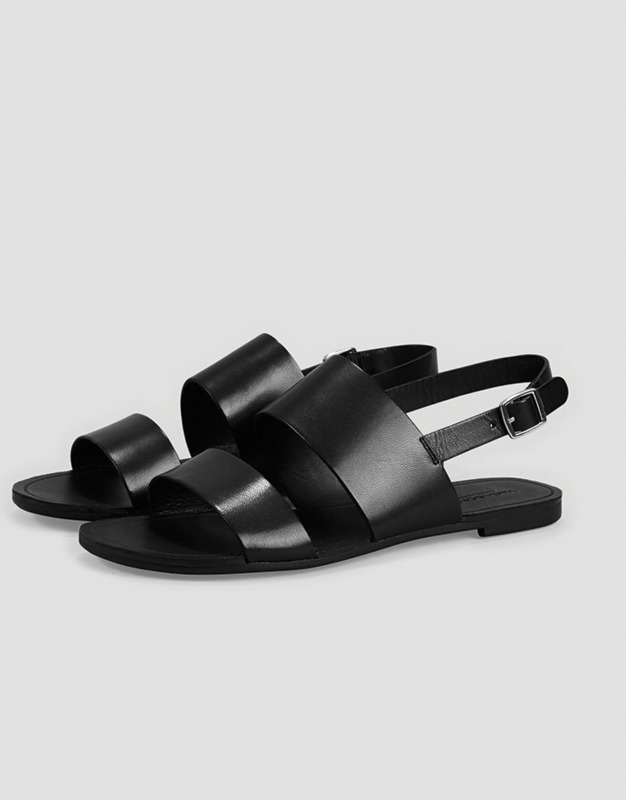 Tia Double strap sandal in black, by Vagabond. 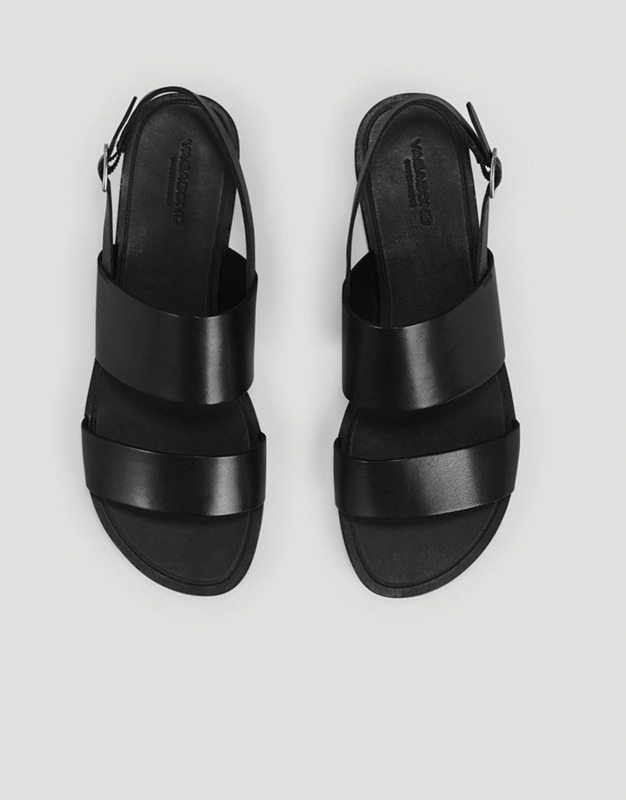 The words best describing the Tia sandal is sophisticated simplicity. 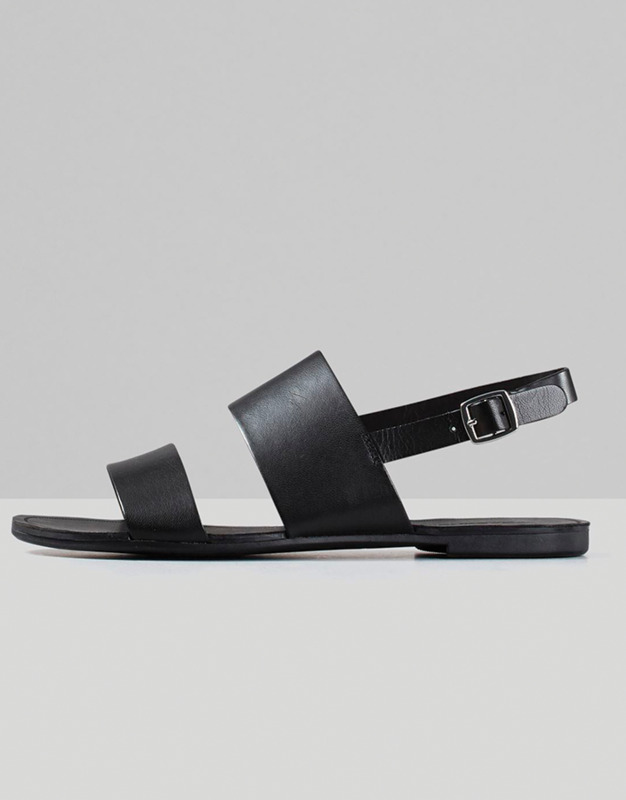 With its clean and minimalistic design, this black leather sandal is a stylish choice when warm weather comes. Featuring two leather straps on the upper and a buckle-fastening ankle strap.